So if you have been following my blog from the beginning you would know what our house looked like when we first bought it and how much we have changed over the past 5 years! If you haven’t seen it go have a gander…its actually mind blowing seeing how far we have come and what we have achieved. 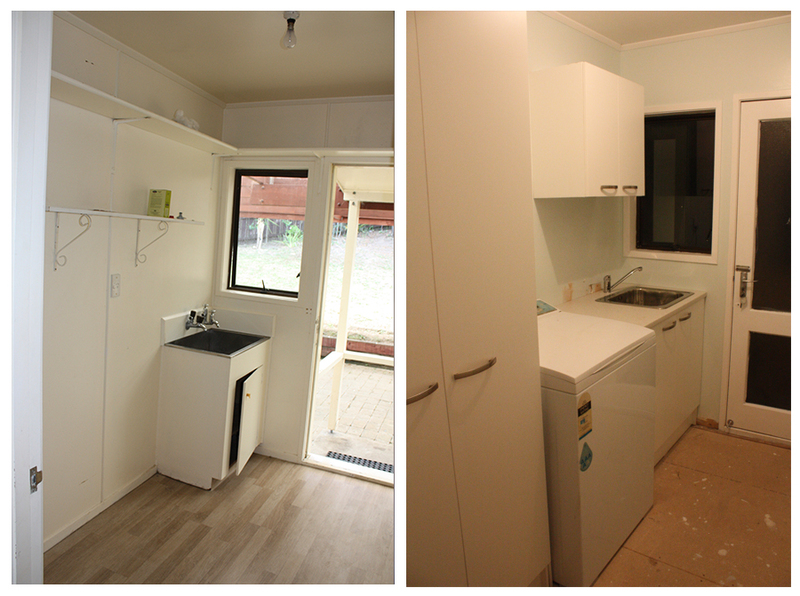 Here is the photos I took when we first bought…and these are the ones of the blank canvas on day one of renos! The whole reason why I started this blog in the very beginning all those years ago…before instagram and before being a ‘mummy blogger’ was actually a thing was to keep track of our progress so that one day we could look back and see how far we have come and read the stories about it all which likely would have been forgotten with my severe baby brain memory I have been blessed with since having kids! Cute photo of Kylan cause I just found it whilst searching for laundry reno photos! We have always had a small budget for the reno, and when we did the first major reno of the kitchen, dining and lounge we also did the laundry. 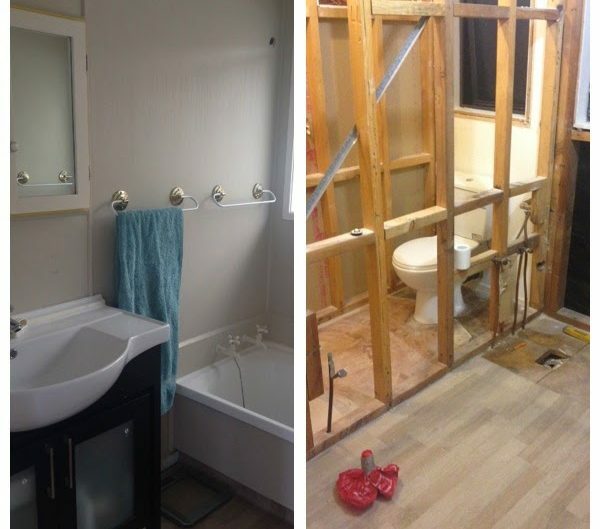 We had never lived in our house prior to the reno…we had rented it out for a few months while we continued to save to fund our improvements (that, and the kitchen was so gross I wouldn’t want to have to eat from cutlery that had been in those scummy old rotten drawers! This being said until you actually fully live in a space you don’t really know what will work and not work, and over time you have epiphanies! (I always pronounce this “epi-fanny” as one day I was reading something to someone and automatically, thanks to my phonics learning at school pronounced it “epi-fanny” and have never been able to live it down so now I just roll with it!) You will see where I am going with this later but for now bare with my ramblings! The initial changes we were making were things we knew would work and needed doing and we had no doubts about them and still to this day are happy with every decision we made! All we did in the laundry was basically put in some proper storage and make it a more usable space as initially it was essentially a bare room and the only back door to the house. With the new back door this one would no longer be constantly used. I just realised I have never actually shared any photos of the laundry on here…I just went to tag in a post with a photo of them but couldn’t find a single one. We put in an inbuilt sink with cupboard space, overhead cupboards and a very large cupboard which became the home to all our ‘crap’! 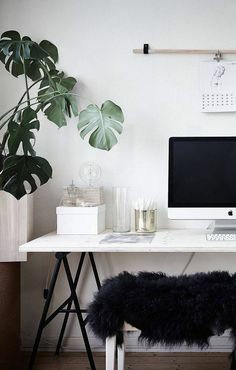 After living in our home for 5 years now you start to think about the spaces differently and how to utilise the space you have more effectively. One night I was sitting next to my pile of office crap on the couch and was pondering where I could plonk a desk. 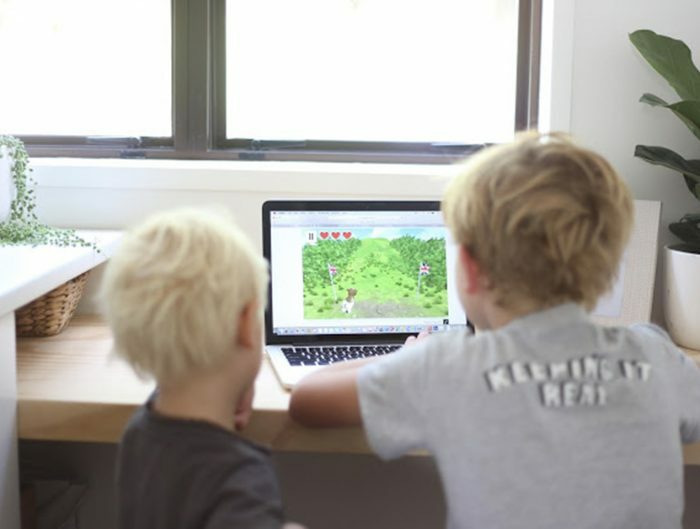 I work from home…literally from the couch with all my paperwork scattered all over around me which had to be cleaned up overtime I paused so that the kids didn’t get their grubby mits on it! I considered using on of the hallway cupboards and having a hidden office, but we have limited storage with no garage so that idea was vetoed. Our small house with minimal wall space also meant there was nowhere in the lounge or bedroom areas that could be utilised as a small office space. Then I thought of the Laundry room and how much space is actually in there and what a waste it essentially is. We hadn’t used this laundry door in about 3 years…It was essentially pointless as right next door were the large french doors which we had installed. With the door there we couldn’t use that wall or the one next to it where the door opened onto. It was a lightbulb moment that the door NEEDED to go and so it did!! 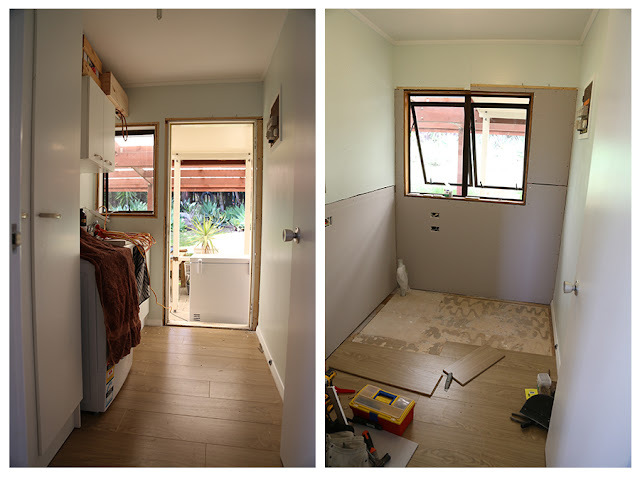 We took out the door and existing window and put in one larger window. 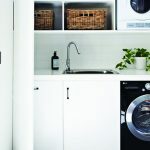 I started Pinteresting up ideas on where to place a laundry. With the outdoor reno in the planning stages I thought of building in an outdoor utility area with space for the washing washing too out on the deck. The thought of going outside in the middle of winter to put a load of washing in wasn’t very appealing so I was back to the drawing board. 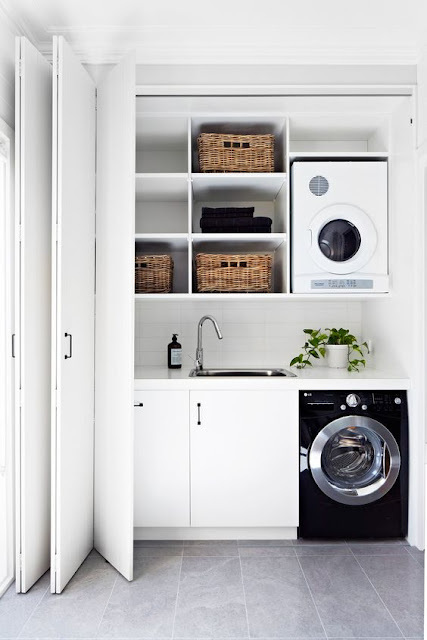 Pinterest has some great little laundry rooms in cupboards. I started brain storming how to incorporate that into the current laundry room so that half would be laundry and half would be office. I really struggled with designing this room. I wanted it to be practical, look good, and be a room where I would want to go in and sit and work. I didn’t want to feel like I was sitting in the laundry on my laptop, I also needed to design it around a new window as the room needed to keep as much light as possible being on the south side of the house. The tall cupboard that was in there did chop the room in half which made me decide to not go with a tall cupboard at all in the space. The sink was the toughest decision. I couldn’t come up with a way to incorporate one in a hidden space. I decided to not include a sink in this room but instead when the outdoor reno is complete there will be an outdoor sink available under the shelter to rinse off paintbrushes and other mucky things! I think I came up with the perfect design. I designed every element myself. 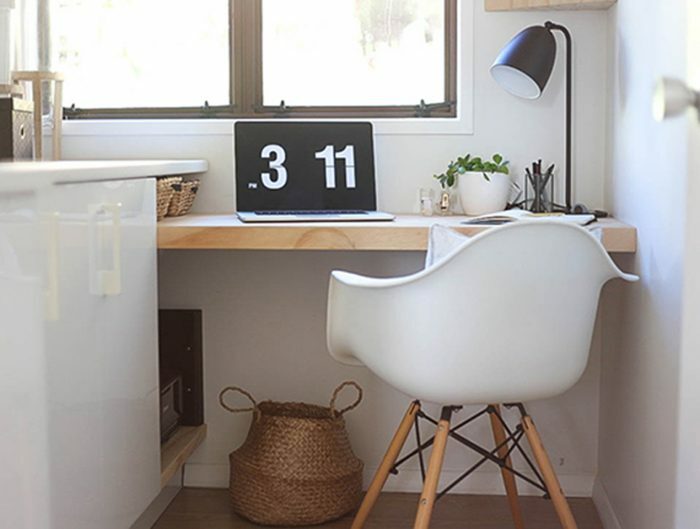 From the layout, to the desk, the shelves and the little storage nooks! I am so proud of what I have made and now that all elements have finally come together I am in LOVE! I will be working day and night to just sit back in this gorgeous space. Enough of the yarning and the process behind it….Here it is! My office with hidden laundry. Its so beautiful it deserves a post all of its own!